Industry 4.0 is often called the fourth industrial revolution. The term embraces a number of modern automation, data exchange and manufacturing technologies. Industry 4.0 facilitates the vision and execution of a "smart factory." This page collates recent DW content on the subject. Some 6,500 companies from 75 nations will take part in the Hanover trade fair for industrial technology. They will showcase industry 4.0, AI and 5G and 200,000 visitors are expected to attend. Digitize Africa, fix the infrastructure, sort the education out and you've got millions of creative minds, doing things that have never been done in the world, says Botawana’s President Mokgweetsi Masisi. 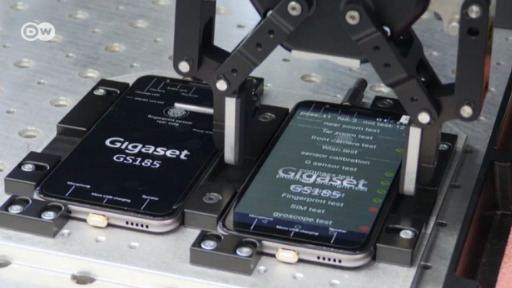 The vast majority of the world’s smartphones are made in Asia. Ten years ago Nokia closed its last mobile phone factory in Germany. Now production has returned to the country thanks to Industry 4.0 and a domestic manufacturer. Spring in Hanover means a chance for humans and robots to get to know each other a little better. 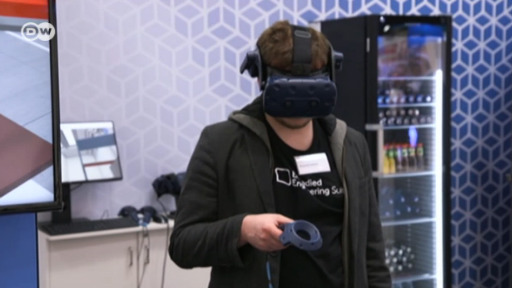 The world's largest industrial fair gives us a glimpse into a future where that relationship will be especially important. At the Hanover tech fair, there's been a lot of talk about the value of free trade against the backdrop of the EU and Mexico updating their bilateral trade agreement. DW correspondent Steven Beardsley tells us more. The scientists at Dresden's School of Technology noticed a market niche: robots are getting cheaper, but it still costs a pretty penny to program them. The German economy believes it is a pioneer in such topics as Industry 4.0 and the internet of things. But during the yearly "digital summit", experts disagree with the German government on the success of digitalization. Pro-tip for using an Amazon Echo - ask it about the meaning of life. The answer may surprise you. But questions around automation itself abound - even if they're a little bit more practical. At Innorobo, the annual robotics event in Paris, robotmakers are asking themselves what it would take for consumers to accept more robots into their lives. 6,500 companies from 70 countries and countless exhibits: Hannover Messe is the largest industrial fair in the world. Although robots are clearly the main focus, there's plenty other noteworthy things. 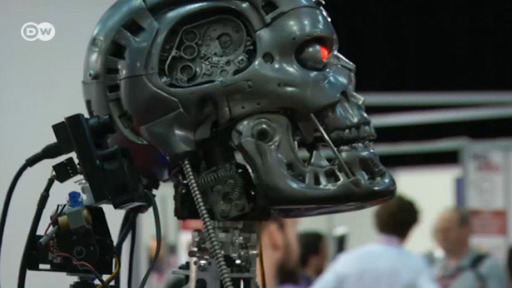 Robots have descended upon the world's largest industrial fair by the hundreds. But the big question that reverberates through the trade floor is this: Will fellow robots steal my job? German chancellor Angela Merkel has opened the world's biggest industrial fair. Poland is the partner nation of the fair that also seeks to allay fears from technological advances associated with Industry 4.0. 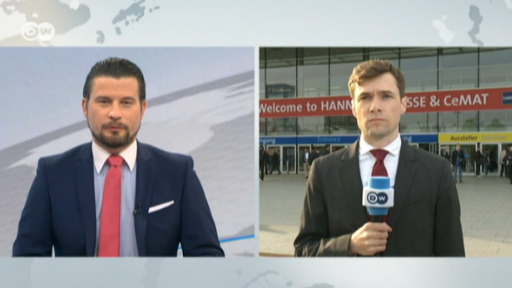 The world's biggest industrial fair has opened its doors in Hanover. Partner-nation Poland is in the spotlight. The country is aiming to bring Industry 4.0 to its factory floors. Japanese and German producers are both interested in making production processes more efficient. The future of industry is seen in completely networked components basically ruling out an mistakes in manufacturing. Industry 4.0 has become a reality at ebm-pabst, the world's leading manufacturer of ventilation technology. Machines talk to each other at its factory in southern Germany, but only under human supervision.